Am I in Control or is My Stress? Stress is something that every person encounters in life; relationships, weddings, jobs, births, finances, vacations, deaths, etc. all create stress. Some events might be happy, positive events, like having a baby, but they still can be stressful. According to the Mayo Clinic, stress effects our bodies physically, mentally and behaviorally. 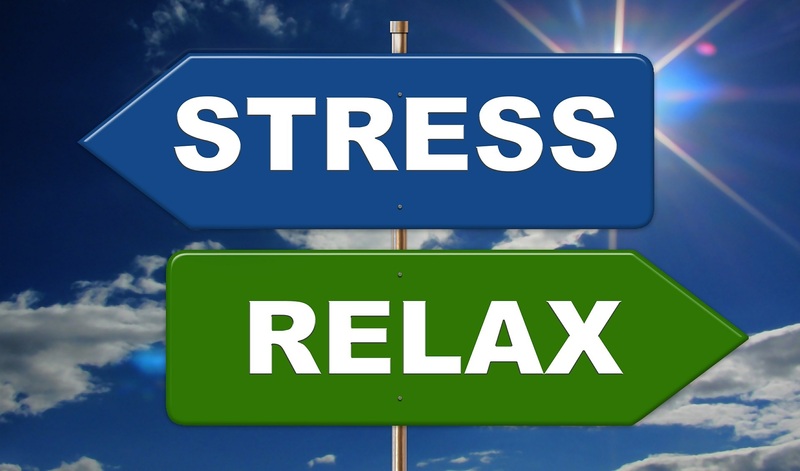 If stress isn’t managed properly it can wreak havoc on your body. Clinical Associate Professor at the University of Southern California, Kim Goodman says “Chronic stress can lead to depression, anxiety, low tolerance levels and interpersonal relationship challenges.” Our ability to effectively cope with stress is determined by how we respond to it. Jack Canfield developed a formula to explain this concept E (event) +R (response) = O (outcome). He states “every outcome you experience in life is the result of how you have responded to an earlier event in your life. Likewise, if you want to change the results you get in the future, you must change how you respond to events in your life…starting today”. Here is an example of putting this formula into practice: you’re stuck in traffic (E) + you cuss, beep your horn and yell out the window (R) = your angry, anxious, experience muscle tension and your blood pressure increases (O). Now let’s use the same scenerio but change our response and see if the outcome is different. You’re stuck in traffic (E) + you turn on some music, maybe return phone calls or spend the time contacting a friend you haven’t had time to connect with (R) = you remain calm and relaxed and your productive. It really isn’t about the event/situation, rather it’s about YOUR response to it that determines what the outcome will be and whether stress controls you or you control your stress. So what are some self-care practices that will help improve the way we respond to different events/situations? Remember, you have a choice in how you respond to stress and the toll it will take on your physical, mental and behavior health. So choose wisely! Last year was a very difficult year for my family, and 2019 has not started any better. Everywhere I turn I am forced to think about the challenges my family is facing. I know I am not alone in the way I feel. I also know that some of you may be living in your worst fear every day. I have spent the last several months trying to keep my head high and not talk about what is going on behind the scenes. I am a very private person when it comes to my family and I do not plaster my every thought on social media. However, keeping all of that inside of me has not been good for my health. I know how to recognize and control my stress but no matter what I tried, I could not escape it. Get an annual medical checkup with a local health-care provider. Spend 10 minutes planning your day and priorities. Take regular 5- to 10-minute breaks in your day to relax and recharge. Write down 3 things that you are grateful for daily. Share concerns with a counselor or other professional. Take 15 minutes each day for uninterrupted conversation with a spouse or family member. Get involved or stay connected with a friend or group of friends. Discuss needs of the farm operation but do not let them occupy all other aspects of life. Seek constructive feedback on your farm operation and ways to grow or improve. Create a family budget and seek to live within your means. Select three healthy habits you will try to practice daily. Start today! Which three healthy habits could you begin doing today? So many times, we try to handle things on our own and in reality, we end up doing more damage than good. I strongly encourage you to figure out who is in your support network. Who do you feel comfortable sharing your personal struggle(s) with? I started focusing on the goodness in this world and the amazing people that surround me. My coworkers and friends have been wonderful! They’ve given me endless amounts of humor to lighten my mood, been a listening ear on tough days and have sent words of encouragement. Don’t feel like you have to hold your thoughts in any longer. Open up and focus on the positive outcomes in your bumpy ride. I recently re-read an older study that found those who had watches had higher levels of stress and heart disease. The conclusion was that those who checked their watches were more worried about being places, being on time, etc. This study reminded me of my behavior when I lost my watch, and felt lost for a while. In fact I kept checking my wrist to see what time it was. I can’t say that I was less stressed without my watch, or at least from my recollection. I wondered if the watch example relates to other monitoring, or checking activities we do every day like weighing ourselves, setting alarms, checking e-mails, getting dings on each new text, traffic alerts of a broken down car ahead, using a steps counter, monitoring heart rate, sitting time, blood pressure, or blood sugars? There are even devices that measure stress! Are all of these “feedback” devices important and necessary to our health and quality of life? As a type 1 diabetic, I check my blood glucose about 3 times per day and make adjustments to what I eat, do, or how much insulin I take. I’ve been considering a continuous blood glucose monitor that will check my sugar automatically every 5 minutes so that I would be better able to manage diabetes. It should make me healthier, right? This watch study keeps popping into my mind as I contemplate purchasing this device. I should have better blood sugar levels, but what about my stress? Will my obsession with blood sugars numbers outweigh any gains with improved bio-metrics? Like anything in science, we have to be careful about overgeneralizing one study and applying the results to other things in life. Comparing the stress of obsessing over time to blood sugar monitoring might be a stretch, but I think we need to be concerned about the broader context of the impact of technology on our mental health. Is it really important to know how many steps I got in before noon, or the sleep patterns that a Fitbit monitors? Do all of these things help us be healthier, or more stressed, and prone to anxiety and depression? Breathing exercises can be done individually, or by listening to an instructor or an audio guide of a breathing exercise. Unlike when breathing is an automatic function, this mindful technique encourages taking a moment to be present, and focus on completely inhaling and exhaling air in and out of the lungs. Afterwards, this exercise usually leads to the healthy default of deeper, slower breathing. A Body Scan simply means noticing each part of the body without judgement. It can be done sitting or lying down and helps with awareness of each part of the body and how it feels at the moment. Imagery exercises help picture a calming place for relaxation. This technique, also called visualization, focuses on a positive mental image to replace negative thoughts and feelings. Progressive Muscle Relaxation includes tensing and relaxing different muscle groups of the body to decrease physical tension in the muscles. The tensing and releasing encourages letting go of physical stress. Yoga, tai chi or other physical activity that helps focus on the body and current movements offer a physical focus on the meditation. They offer physical benefits as well as mental relaxation. Mindful Eating promotes taking the time to slow down to enjoy food by using all the senses. This can encourage feelings of gratefulness, fullness and greater enjoyment of food. Consider other stress management techniques and consider taking “digital device holidays,” immerse yourself in nature, go hiking, camping but be sure to unplug every now and then. Take off your watch, step counter, turn off your phone, TV, computer, and everything else that involves electronics. Set a goal to unplug a few times a week or month.